Navid Nasr ~ “Harsh truths re: Da’esh/ISIS/IS. 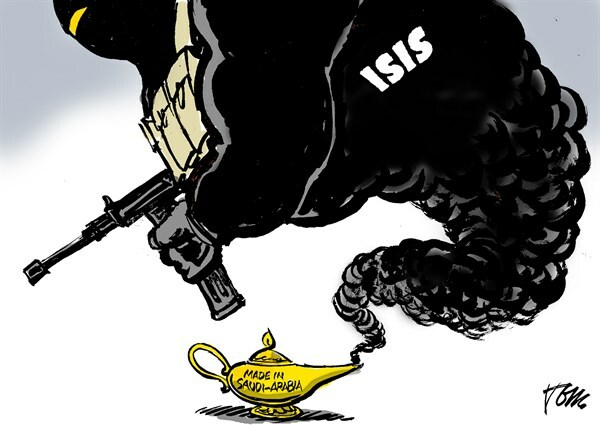 ISIS is not simply one giant black op or false flag. While, by now, most of those who follow this group’s activities are aware of their deep state/intel connections — certainly with Turkey and the Gulf states, and probably with Israel, Pakistan and various western states — that’s not where the story begins and ends. ISIS is very real, and is a very real threat, mostly to the people of the region, not to you and yours. The bulk of ISIS’s funding does NOT come from its control of the oil fields in Deir ez-Zor (eastern Syria). If that was the case then it would be organizationally on par with Jabhat al-Nusra. The bulk of ISIS’s funding comes from individual donors in Saudi Arabia, Qatar, Kuwait, UAE and Bahrain. **This wouldn’t happen if there wasn’t widespread ideological support for the group within those countries. ** And not just in those countries, they just happen to be where all the wealth is concentrated. 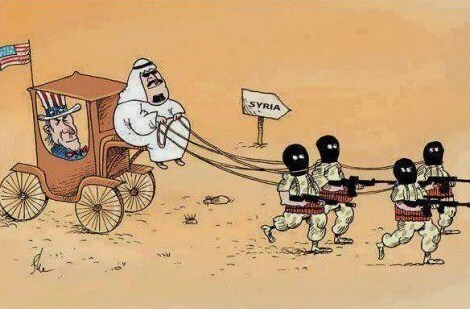 Saudi ideology is, essentially, ISIS ideology. Wahhabism if you will. And wherever Saudi ideology has taken root, wherever Saudi funded and constructed mosques, and Saudi-“educated” Imams exist, there you will find a base of support for ISIS. I’m not saying that the vast majority of those who attend such and such mosque, or listen intently to every khutbah by such and such Imam are ISIS supporters, but those who take their beliefs, ideas and ideology to their logical conclusion certainly are. There’s a reason why so many ISIS fighters hail from France, Germany, Belgium, Holland, Denmark, the UK, etc. It’s not so much about “alienation” as it is about indoctrination. Eliminating ISIS as a group (something which will prove to be much more difficult than most observers and analysts are willing to admit) won’t end this. Nothing short of wiping the Saudi regime from the face of the earth will do the trick, followed by a massive re-education program, beginning in the Peninsula but extending everywhere that the tentacles of the Najdi have reached, the scale of which will make the post-WWII de-Nazification program in Germany seem miniscule in comparison. February 15, 2015 in ISIS.